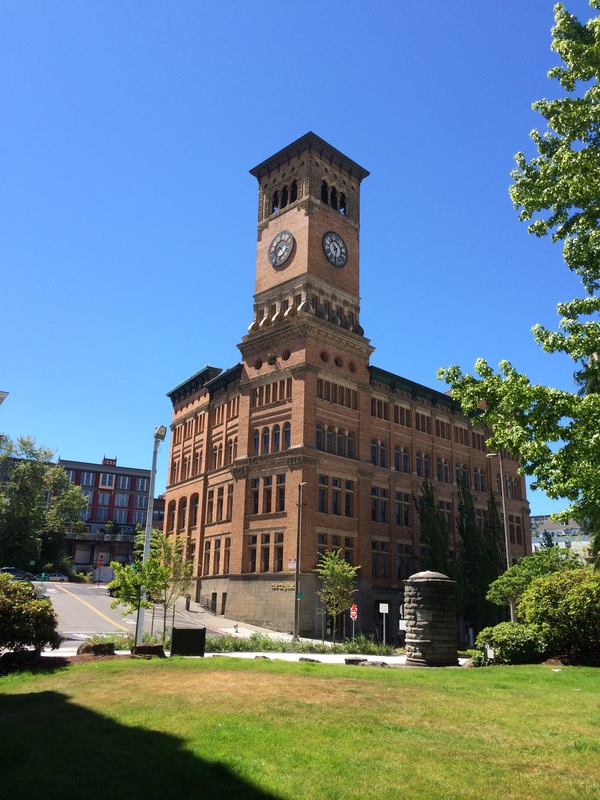 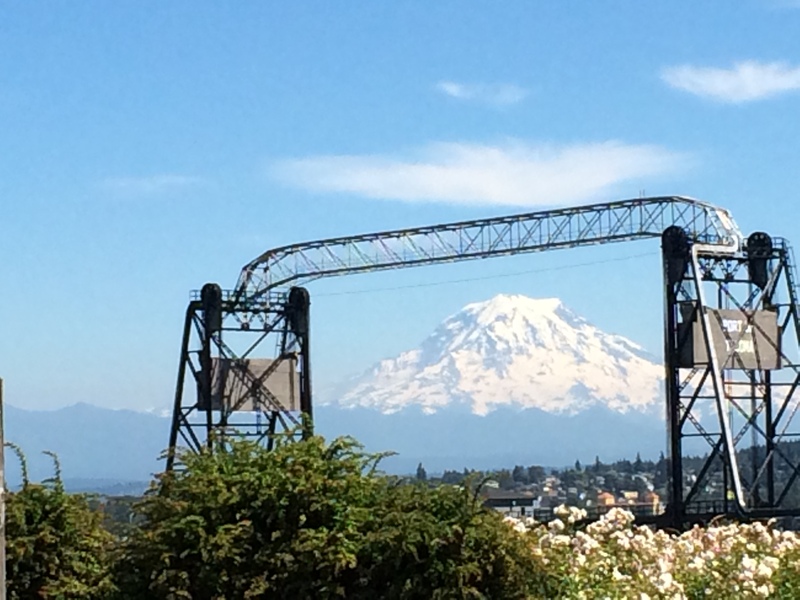 It’s a beautiful day here in Tacoma, so hubby and I ventured into the outskirts of downtown for lunch. 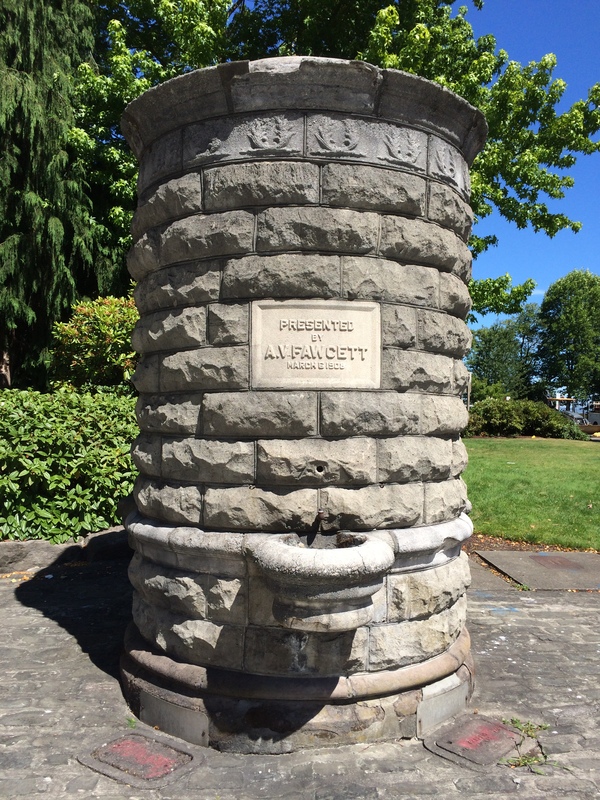 After eating, we visited Fireman’s Park, which we entered at the corner of Pacific Avenue and S. 7th Street. 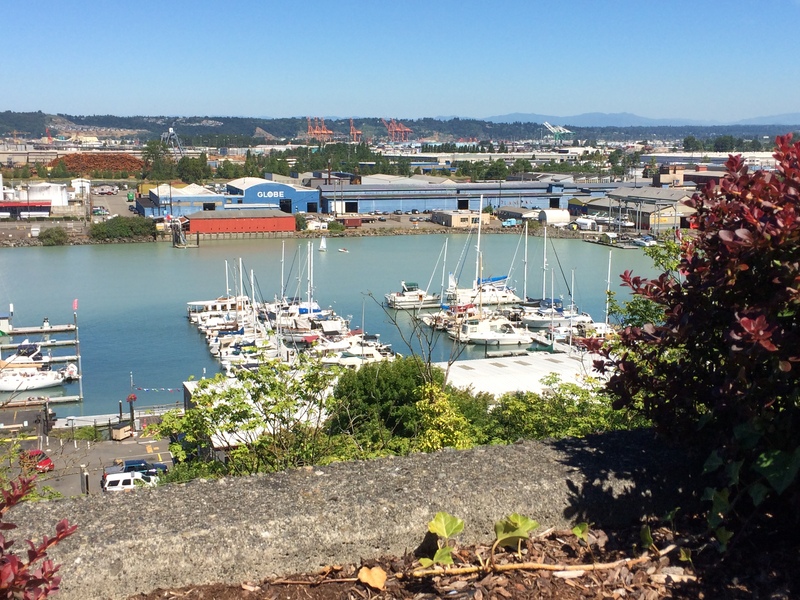 From Pacific Avenue, this park looks about the size of a postage stamp, but in fact the park extends along the bluff behind the buildings on Pacific Avenue. 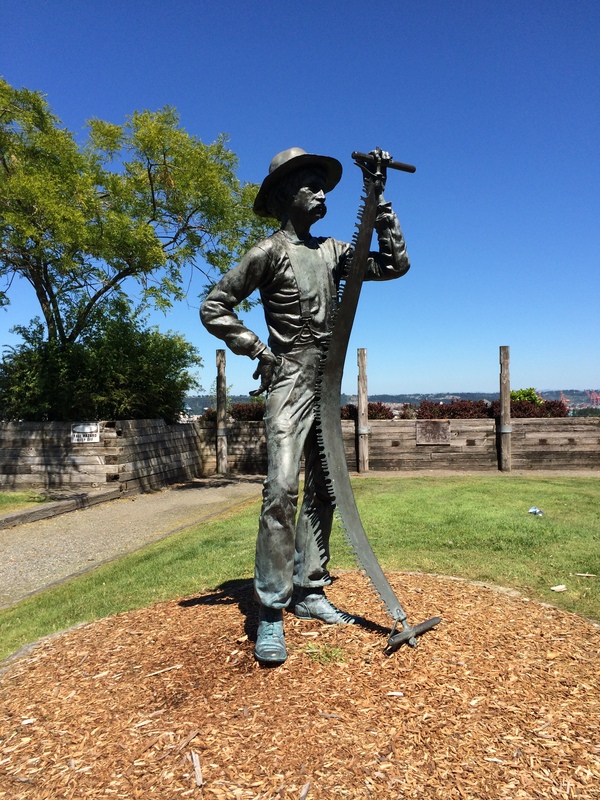 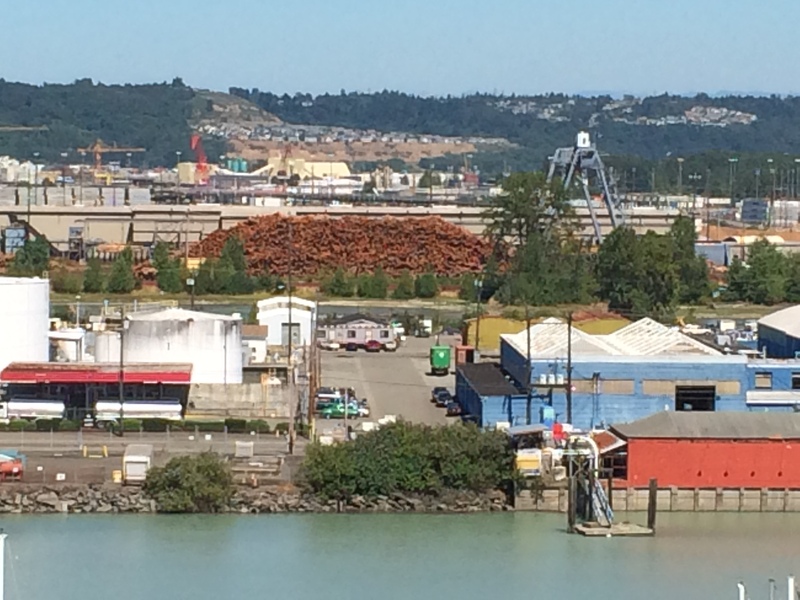 Fireman’s Park offers expansive views of the working area of the Port of Tacoma, including the entrance of the greenish-gray water of the Puyallup River into the bluer water of Commencement Bay.